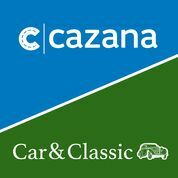 Car & Classic / Cazana is raising £1,000,000 investment on Crowdcube. Capital At Risk. Cazana is a Passion Capital backed business that seeks to change the way vehicles are valued globally. Cazana operates websites at Cazana.com and Carandclassic.co.uk that attract over 2 million users monthly. The businesses make money by selling data, insight and advertising to dealers and insurers. 1) Car & Classic: a free-to-list site for classic & specialist vehicles, the go-to buy/sell platform in Europe. Car & Classic Holdings is a wholly-owned subsidiary. 2) Cazana: B2B platform using machine learning to determine the true value of vehicles. Together we serve consumers to buy or sell cars, and dealers, insurers, and lenders who want to manage assets and insure with transparent information. Our research suggests the market for classified listings of classic/specialist vehicles is approximately £2.7bn globally (UK: £239m). Furthermore, the annual spending on vehicle pricing data is estimated £3.5bn globally (UK: £426m), including by dealers, insurers, and lenders. The group generated £1.3m of largely recurring revenue in '18, with £898k gross profit (-£458k net). Turnover was £163k in December (£31k net profit). Data contracts account for 60% of revenues with the remaining 40% from ads. Hundreds of businesses buy Cazana data, with 2.2m monthly site visits and 1,800 dealers benefiting from the Car & Classic audience. The business is frequently covered by industry & national press. In October 2018, the Financial Ombudsman announced that they recommend Cazana valuations for insurance loss cases. We are becoming the default choice for dealers & insurers looking to trade more efficiently with fair, transparent market data. To see the rest of the Car & Classic / Cazana pitch, join now. Join to read more information about the Car & Classic / Cazana team, documents, and what other investors are saying about the pitch.